The threat of a new recession in the US, the drop in the price of raw materials, and decisions taken by the ECB, might just bring about a turnaround in the world economy. The traveler Javier Reverte once commented how when he set out on a trip to places he did not know he made a mental provision for scams, so that when a taxi driver overcharged him he didn’t get angry, given that he had already factored the “surcharge” into his provision. Now that we are over the hurdle of the recent European summit, in which for the first time political leaders adopted that old market practice of affording a false sense of happiness by means of pre-martyrdom (i.e. by lowering expectations and then subsequently announcing measures that are not quite that bad), it’s time to shed some light on other sources of basic risk for the world economy, so that we can set up our own mental provisions. Given that I have always criticized market players for only seeing black swans in the economy, in spite of the fact that the majority of swans are white, I am going to talk about three risks – one negative, one ambivalent, and one positive, because they are the type of risks that will allow us to think that things are not really quite so bad if they do actually happen. What if … Spain leaves the Euro! Forget about short cuts and soft measures: Europe’s problem is that it has lost the market’s confidence, and in order to get it back it will have to take some hard measures.It’s a well worn phrase which is why I have permitted myself a certain amount of poetic license, because it seems to go perfectly with the confusion that is rife among markets and analysts following recent events. The feeling of insecurity is such that we are desperately seeking a lifeline to cling to. Someone is always up for the job of throwing said lifeline and public opinion seems to have honed in on two specific groups: governments comprised of technocrats and the European Central Bank (ECB). The former are expected to bring the required level of sanity and the ECB is supposed to start buying up debt with no thought for expenses. But once again it’s the wrong diagnosis. The European Commission, according to its vice president Olli Rehn, has decided that the key lies in restoring confidence in fiscal sustainability and the financial system, and in speeding up reforms that stimulate growth potential. Hence we have to change our tune or we have to take notice of the Commission, but either way we should not be looking for short cuts. The European problem is a simple one. Investors have lost confidence in the Euro, not just in Italy. Let’s not confuse the symptoms of this particular illness. They have done it for a series of institutional reasons – the well-known design faults of the Monetary Union – and mistakes made in the way the crisis has been managed. In my opinion they include two particularly big mistakes. The first was to declare that European sovereign debt is restructurable – albeit only Greek debt, but who on earth believes that at this stage – without having the necessary financial resources or legal instruments to effect an immediate exchange, and the second was to punish banks for their sovereign debt holdings without having the necessary resources to fill the hole created. Both decisions have had consequences that were impossible to recover from in the short-term: they have made sovereign debt a credit asset, a financial instrument that competes with emerging debt, and have eroded the credibility of the European banking system, which has been forced to divest its sovereign debt. 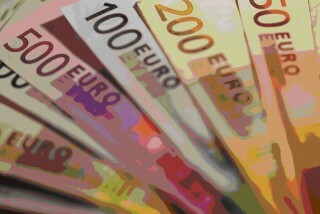 Take your seat… Why the Euro is here to stay! Articles and media reports predicting the imminent demise of the Euro have become so commonplace over the last months that I suspect the next release of Microsoft Word will include it as a new document template: blank page, letter, CV, “Euro is doomed” article. A quick search on Google for the exact phrase “the euro is doomed” produces so many results (over 65,000), that I cannot even be bothered to look for variants. Pundits and politicians, bloggers and journalists, have all climbed aboard the euro-is-doomed train and cannot wait to tell us all about the destination which is envisioned, variously, as end-of-Euro land, end-of-Europe-itself land, global-financial-Armageddon land (for the real enthusiasts), etc…. Muh. Send us a postcard when you arrive. That is a postcard I don’t expect to receive. Why not? Simply put because the so-called euro crisis is the product of a narrative gone wild. It has swept up otherwise sober-minded people and produced a wave of incessant hysterical shrieking, fulfilling that deep lizard-brain desire to really enjoy a catastrophe. Except that catastrophe is largely an artefact of a market-, media- and punditry-driven narrative, increasingly divorced from the underlying reality of what is going on. What we are really looking at is a sovereign debt crisis rephrased into a “euro-is-doomed” narrative. How sustainable is that? About as sustainable as Greek borrowing patterns. The IMF’s absurd proposal to buy debt from threatened European countries like Spain or Italy would have made it into a hedge fund, and it would have been developing countries that paid the price.Ever since the Mexico peso crisis resulted in the so called tequila effect in the early nineties, the International Monetary Fund has been trying to find the formula to prevent financial contagion. To be more specific, it has been searching for the way to stop financial market dynamics from unfairly impacting countries that have no serious solvency problems, but which will end up having them if they fall out of favor with investors, who then pull out en masse causing spiraling debt differentials coupled with a credit crunch. But what it has not done so far is to suggest that it should serve as a highly speculative investment fund that would intervene directly in the debt market, stockpiling the currencies of countries under threat. This is exactly what Portugal’s Antonio Borges, the inexperienced head of the European Department, proposed. The suggestion was only on the table for the space of a few hours, because it was such a ridiculous idea, so out of synch with the nature and functions of the IMF, that he had to withdraw it before the end of the day. After just 8 years of circulation the Euro has the dark side that Spain didn’t want to see when it took over from the weakened peseta. What we need now is real improvement in levels of competitiveness.We thought we knew what the Euro was about when we launched it in 2002. We started to spend those new coins and notes with an almost patriotic meaning for pro-Europeans. We went through the “rounding-up” stage, but anyway we were enthusiastic about the new currency and what it meant for Spain and Europe. And the initial years of the euro brought the benefits we anticipated. Interest rates fell to the lowest ever levels. Trade increased, foreign investment reached new highs and Spain went through a golden era of growth and rapid increases in income. We should almost be forgiven for thinking that belonging to the Euro held only advantages. But we were wrong. From the beginning, the euro was not ´pretty´ notes, but rather the final abandonment of two fundamental tools that had helped the member states balance out their economies: interest rates and exchange rates.